Home / Personal Finances / Budgeting / Everybody Needs Applicable Wise Tips! Everybody Needs Applicable Wise Tips! 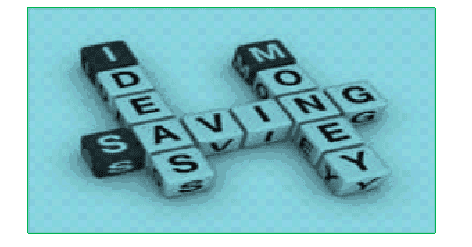 Budgeting, Saving Money Comments Off on Everybody Needs Applicable Wise Tips! Do you really have what it takes to be able to save money? It is evident and clear that saving needs determination and a focused mind. Besides this, the plain truth is that saving is great a need to every earth dweller. Consider in mind the goals you always wanted to achieve, the wishes of your heart and the beliefs of acquiring certain properties. Start saving for your dream laptop! Longing for a wonderful high tech laptop is not enough; you’ve got to do something unusual to be able to satisfy this desire of your heart. Having such a goal makes it easier for you to achieve the commodity with great ease. All you have to do is simple, do some research and know what it costs. After knowing the price, consider the length of time that you will be able to save until you outsource it from the market. Secrete of smashing the price into days of saving. For instance, you may take like three months of intensive saving depending on your income ability. Now, the big secret is, divide the total amount to get the exert amount you need to save each day. You will even find it more easily attainable when you spread the amount to longer period of time. You want to know to know something unique about furniture? Here is the wisdom; to begin with, you should be informed and fully convinced that your house is perfectly classified in the group of your first class investments. These properties have certain impressions thorough the aesthetic value which it whispers to your relatives or even visitors the exerts kind of person you are. If you are lucky enough to have a decently set house with good value furniture, you can be a true witness of the respect you earn from every visitor to your house. On the other hand, if you are not yet privileged, you should not wait for a miracle from the oblivion to come. You need to start saving immediately! Consider the saying that goes; we live to fulfill and achieve goals. Where do you keep changing after shopping? We all know that change is the excess money returned after paying enough for your goods. Be informed that this is not cheap money. With a focused mind, you can convert this into very good and usable money. The only thing you need is time, patience and a suitable place to keep your accumulating change or money. If you’ve got a money saving tip, some advice, or ideas you think our audience would be interested in, then we’d like to hear from you. Now you can write about Budgeting.